DOOR IS OPEN, COME ON IN…You are entering my home gallery. This is my workspace. On the left, the monitor. 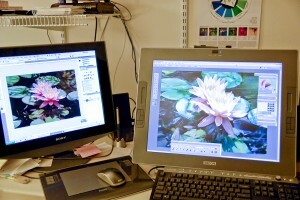 When I’m painting I put the photo that I’m using as reference on the monitor on the left. I paint on the Cintique Monitor on the right. And now you see that it’s a touch/pressure sensitive screen. I work on this screen just like I work in my “wet” studio. 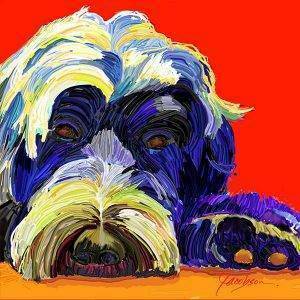 I paint with Corel® PainterTM 11, the ultimate digital art studio. 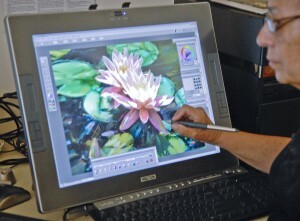 Working with these advanced digital painting and natural media tools is mind boggling. There are times when I actually rub the screen with my fingers thinking that I can blend the colors. That is how real this digital experience feels. The beauty of Painter 11 is that I can combine mediums ie. watercolor with oil paint, airbrush, charcoal, acrylic, and use them on different surfaces and with textures. This offers me unlimited exploration possibilites. Every day is an adventure. 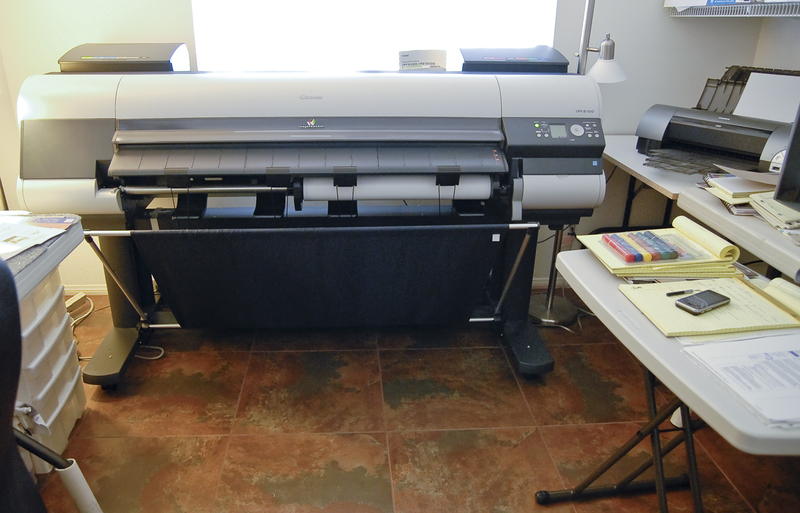 For printing I use The Canon imagePROGRAF iPF8100 44″ printer. It is a 12-color pigment ink printer with permanence ratings in excess of 100 years for color images. OK, bottom line, it’s a great printer, the prints will last a very long time, and it has wonderful features.It is the largest printer that we could get into this very small studio. In fact, when it arrived it would not fit through any of the doors in the house, sooo…it came in through the window above. There were inches of space between the window frame and the printer.Bottom line…we offer great prints on canvas. The end of today’s tour. Much more to come. As they say in my son’s Texas home…Y’all come back! No image, either in whole or in part may be used without the express written permission of the artist. All artwork & material on this site is copyrighted by the artist. ©2009 Jacobson. All rights reserved.